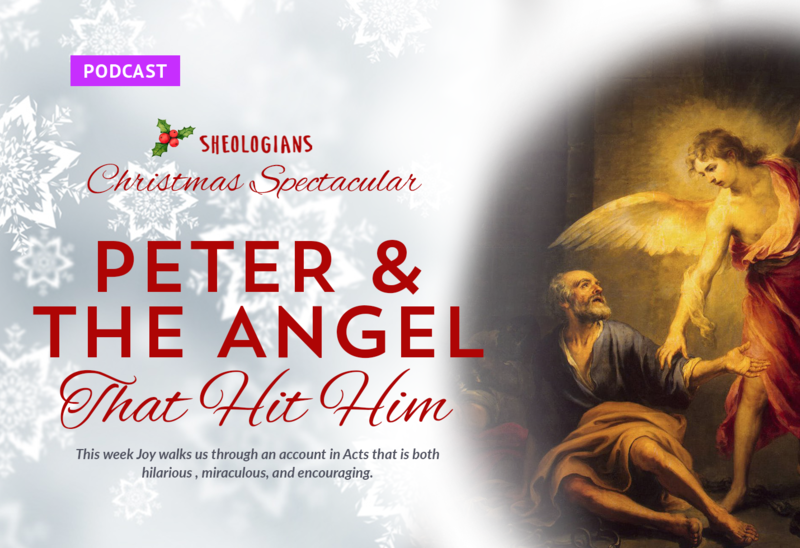 This week we close out the year with Joy focusing us on a miracle recorded in the book of Acts that is both beautiful and hilarious. As we go about enjoying this magical time of year, I hope we can focus on God’s provision and the mysterious way he works as we enter the New Year! As you think through what you would like 2019 to look like, what’s at the top of your list? Both Joy and I would be happy to encourage you in your fitness goals, Bible reading plans, and book reading goals. But mostly we want to encourage you to work towards obedience to Christ. I hope that one year from now we can look back and see God’s grace as he grew us in to more and more obedient Christians. That is my prayer for myself, and for you. Happy New Year, friends! When I was in my early 20’s, I went to a bible study and it was on Rhoda. I never forgot that teaching, so, it was great to hear you guys talk about her today. The teaching was not as funny as how you guys present it but it was eye opening to me. Here was Rhoda, probably waiting with the others praying for Peter and there was a knock on the door and Rhoda in her excitement knew it was him. Rhoda was the only one that showed faith and was in a sense blown away by it and was beside herself so much so that she did not open the door. They didn’t believe her and argued with her but then they opened the door and were amazed. Rhoda had such faith that her one act of it, got her named in the Bible.